Plumbing isues in Capalaba may arise from time to time as a result of handling, general wear and tear as well as general aging of homes. From rusted and corroded water piping systems to major and minor leakages, the effects of wear and tear can be both frustrating and dangerous. Owing to frequency of use, kitchen sink mixers are often subject to damage and often require repairs. This challenge generally makes it harder to economise on water and efficiently perform simple kitchen tasks, not to mention the mess and damage that could be generated across the floor and other nearby fittings and furniture. We recently received a call from an elderly customer in Capalaba for an issue related to her kitchen sink mixer. After careful listening and assessment of the issue at hand, we advised the customer that our local plumber was avaibale to assist her in regards her request. To ensure the quality and fast delivery that we are renowned for, we scheduled a visit for the same day. On arrival of the site, we conducted a thorough and professional evaluation of the kitchen area and the plumbing system. After careful inspection, we discovered a hole in the kitchen sink mixer. This hole was the culprit that had resulted in the water leak. To get started, we began by doing the most logical thing, we isolated the water supply to the home. As we always visit customer sites prepared, we located and installed a new kitchen sink mixer for the customer from the supplies that we had packed along to fix the leak kitchen sink mixer. After installation, we turned the water supply back on and tested the new installation. Upon testing the newly installed tap mixer, the system worked perfectly and the flow was efficient. No additional leaks were discovered and the client was well satisfied with both the quality, expertise and speed of work. Adjustable pipe wrench, Pliers and Plumber’s tape. 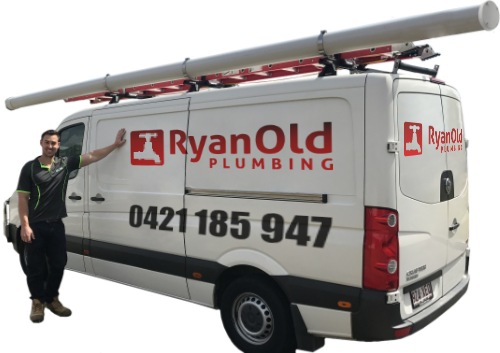 At Ryan Old Plumbing, quality and speed are two watchwords that we always employ when attending to the needs of our clients. We have a professional and local presence in Capalaba, Queensland and ensure that we meet up with all plumbing needs within the space of 24 hours or less. Our team is a collection of outstanding professionals with years of experience in handling all sort of plumbing repairs, fitting and installation services.